This talk was presented to the members of the Buddha Center on Saturday, July 26, 2014. In this talk, I will be departing from my usual custom of discussing dharma directly according to the Pali Canon to discuss the contribution to modern Western Buddhism of one particular person. This is someone whose name you may or may not know as one of the great early translators of the Pali Canon. She was also an original Western Buddhist author in her own right. I refer to Mrs Caroline Augusta Foley Rhys Davids, the wife of Thomas William Rhys Davids, a British scholar in his own right and the founder of the Pali Text Society, which still exists and is headquartered in London, England. Mrs Rhys Davids was born in 1857 in Wadhurst, East Sussex, England to John and Caroline Foley. The Foleys had a long history of involvement with the Church. Caroline studied economics, philosophy, and psychology at University College, London, as well as Sanskrit. Even as a student, she wrote prolifically and was an outspoken advocate of poverty relief, children’s rights, and women’s suffrage. She completed a B.A. in 1886 and an M.A. in 1889. Caroline and her husband, Thomas, were drawn together by a common interest in Indian studies. They married in 1894. Thomas encouraged her to study Buddhist psychology and the status of women in Buddhist countries. One of her first publications was a translation of the Dhamma Sangani, the first book of the third Pitaka of the Pali Canon, the Abhidhamma, under the title A Buddhist Manual of Psychological Ethics. This was published in 1900. Another early publication was her translation of the Therigatha, a collection of poems of realization written by early Buddhist nuns (Psalms of the Sisters, 1909). She lectured in Indian Philosophy at Manchester University from 1910 to 1913, and in the history of Buddhism at the School of Oriental Studies from 1918 to 1933. She held the position of Honourary Secretary of the Pali Text Society from 1907 until her husband’s death in 1922, after 28 years of marriage, and as President of the Pali Text Society from 1923 to 1942. She translated large tracts of the Sutta Pitaka and was one of the first scholars to translate portions of the Abhidhamma. She also edited and supervised other translations of the Society. She also wrote many articles and several popular books on Buddhism, including Buddhism: A Study of the Buddhist Norm (1912), Buddhist Psychology (1914), Gotama the Man (1928), Sakya or Buddhist Origins (1928), A Manual of Buddhism (1932), Outlines of Buddhism (1934), Indian Religion and Survival (1934), Birth of Indian Psychology and Its Development in Buddhism (1936), and What Was the Original Gospel in Buddhism (1938). In all, she wrote 34 books. During the first half of her career, she followed the mainstream view of Buddhist teachings, but over time, she became increasingly critical of the orthodox view of Buddhism. She developed her own perspective on presectarian historical Buddhism based on a critical reading of the Pali Canon. In particular, she developed the view that after the Buddha’s death monasticism, and in particular the Sri Lankan monastic redactors of the Pali Canon, comprehensively edited and reedited the original texts in order to emphasize the more anti-worldly and anti-self aspects of dharma. William Peiris writes, “she believed that the monks who inherited the Buddha’s teaching handed in [sic] a ‘defective and mutilated form.’” She explains this attitude and her methodology in the introduction to her translation of the popular Buddhist text, the Dhammapada, published towards the end of her life, which we will examine in detail. In addition, Mrs Rhys Davids was influenced by Spiritualism and possibly by Theosophy, as well as her own education in psychology at University College. Towards the end of her life, she became something of an experimental occultist and engaged in experiments in automatic writing and psychic communication. She claimed to have developed the psychic powers of clairaudience and the projection of the mental body in the dream state. She kept extensive notebooks of these experiments, which are now archived at the University of London. The Buddhist scriptures, of course, attest to the reality of these powers, or iddis, but in these judgmental days of rationalist scientism and ideological skepticism these interests have led to her being marginalized and ignored by professional academics. This is unfortunate because her arguments are powerful and persuasive and clearly based on a deep knowledge of Pali. This lack of academic interest is complemented by the widespread anti-intellectualism of many Western students of Buddhism, Many people, fascinated by the glamour of Asian teachers, fail to realize that there was an indigenous Western Buddhist tradition that preceded the Asian immigration by many decades. I have discussed this topic in my book, Buddhist Self-Ordination: A Dharma Strategy for the West (2011). 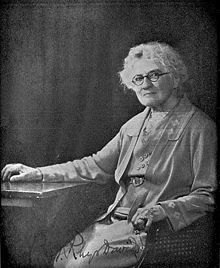 Another contemporary of Mrs Rhys Davids that is also nearly unknown is Allan Bennett, whose Buddhist name was Bhikkhu Ananda Metteyya, who led the first Buddhist mission to the West in 1908 and is similarly forgotten today. Caroline and Thomas had three children, Vivien, Nesta, and Arthur. Arthur became a fighter ace during World War I and was killed in action in 1917. Caroline died suddenly in Chipstead, Surrey on June 26, 1942, at the age of 84. This, briefly, is the problem presented by the Pali Canon. It is rather like the problem faced by the archaeologist who is presented with layers of rubble, all mashed up with the jungle that both preserves and exposes the layers beneath. First the jungle growth itself must be separated from the actual remains. Then the rubble must be excavated and related to other associated rubble, first, in relation to the topmost layer, and, then, in relation to the layers beneath, until the original structure is exposed and understood both in relation to itself and in relation to other structures, both before and after, both near and far. It is a four-dimensional puzzle, and with many missing pieces! It is the work of a lifetime and perhaps even many lifetimes. In Mrs Rhys Davids’ case, it was the work of 50 years and she was a pioneer. All too commonly, for many professional academics, the work is too hard and they content themselves with superficial questions and superficial answers. Only a few scholars ever ask the truly essential questions, and in that asking, they achieve greatness. Many Buddhist scholars content themselves with questions of institutional organization and belief, social studies, and documented history. Pande specifically avoids this approach. Instead, he addresses the essential questions of doctrine that also concern Mrs Rhys Davids. He writes, “the subject-matter [of this book] is for the greater part of a literary and of a religio-philosophic character, but the treatment is intended to be primarily historical.” There are even deeper questions, chiefly of a theological character, which we will touch on at the end, especially the relationship between the historical method and the intrinsically a-historical character of dharma itself. Pande’s book was developed out of his Ph.D. thesis, which was accepted by the University of Allahabad (Uttar Pradesh, India) in 1947. Pande’s opinion that the “major portion” of the Nikayas, constituting the second part of the Pali Canon, the Suttapitaka – the word simply means “group” or “collection” – existed during the 4th century BCE appears to be based on the assumption, not shared by Mrs Rhys Davids and now doubted by the majority of scholars, that the Buddha was born in 563 BCE. To adapt this statement to current scholarship we need to subtract about 83 years. We may say that the Nikayas existed no earlier than the late 4th century BCE and no later than the early 3rd century BCE, about a hundred years after the death of the Buddha (AB). He also agrees, with most scholars, that the Nikayas are substantially pre-sectarian, a characteristic that both Pande and Mrs Rhys Davids emphatically deny to the Abhidhamma. However, Pande agrees with Mrs Rhys Davids that “particular versions of the Nikayas may be expected to contain much editorial retouching, addition, and even expurgation.” Finally, the whole matter was written down in Sri Lanka during the first century BCE, about 300 to 400 years after the death of the Buddha. Of particular interest to us in the context of the present discussion is the test from vocabulary, in which, quoting T.W. Rhys Davids, “words used in one sense in the older strata of the literature [are used] in another sense in the later strata.” Rather, quoting Mrs Rhys Davids this time, “it is a discerning of … ‘fragments’ as it were left-in [sic] a surrounding structure of ‘doctrine.’” In particular, both Pande and Mrs Rhys Davids reject “increased ‘negativist’ emphasis and scholastic analysis and classification” as late characteristics. This is really the nub of Mrs Rhys Davids’ rejection of the Theravadin self-identification with the original teachings of the Buddha. Both Thomas and Caroline relate this to “the growing mode of the coenobitic monk and his peculiar ideals.” Pande refers to this as “dry-as-dust abstract scholastic formulae” and “a dry-as-dust catechistical style.” This change is also seen in the language of the Pali Canon. Pande compares this developmental process to Gospel-criticism in Christianity, but there is one crucial difference. Whereas the Gospels occupy perhaps 300 pages at best, the Pali Canon in its entirety is 40 volumes in English translation. Any radical reconstruction of the philosophy of the Buddha based on a progressive process of reduction is still going to be far more complete than a similar reduction of the original teachngs of Jesus, which leaves us with a mere residue of obscure sayings. As an aside, the hypothesis that I have submitted in previous talks to this one, that the beginnings of Tantric literature are to be found in the Pali Canon, is referred to by Pande as the view of one Professor Bapat, and therefore has a scholarly precedent. The “physiognomical dogma” of the 32 marks of a great man. On the other hand, the “older style” is characterized by simplicity, spontaneity, and earnestness, and is more concerned with spiritual experience than philosophical hair-splitting. As in Christianity, many of the similes and parables are likely to have originated with the Buddha. The doctrines implicit in these carry particular weight. Clearly there is a book to be written here. Theravadins should take little encouragement from the fact that this critique also extends to the Mahayana when they consider that it implies a strong criticism of ascetic monasticism and dogmatic scholasticism, the obsessive preoccupation with the Vinaya rules, oppositional sectarianism, and the familiar doctrines of anatta (no-self) and nirvana (extinction), the latter conceived as the goal of the Way. The Buddha refers to nirvana as the door of the Deathless. The Eightfold Path also comes in for criticism. Mrs Rhys Davids suggests the original doctrine was simpler, alluding perhaps to the formulation of the path as higher thought, higher morality, and higher concentration, which is also preferred in the Mahayana. Even in the Pali Canon, the Buddha states that this threefold formulation supersedes the Noble Eightfold Path, as I have discussed in another talk. Having summarized the conclusions of the first two chapters of Pande’s book, rather than continue in that vein, I would now like to go on to the subject proper of this talk, the thought of Mrs Rhys Davids herself on these and related topics. To this end, I would refer to her translation of the Dhammapada, specifically, to the introduction, in which she summarizes her own view, built up, as she says, over the course of 50 years of scholarly work. Mrs Rhys Davids’ translation of and introduction to the Dhammapada was first published in 1931, when she was already 74 years of age, and therefore approaching the end of her life. I would like to begin with a consideration of this text as representative of her final mature point of view. It comes across almost as a kind of manifesto. The Dhammapada is the second book in the last section of the Suttapitaka, the Khuddaka Nikaya, meaning “small collection,” and is itself a summative work of Pali Buddhism. It is the most widely read and best-known Buddhist scripture. Its roots go back to the third century BCE, roughly 150 years after the death of the Buddha. It consists of 423 stanzas divided into 26 chapters on a wide variety of topics, including Earnestness, Thought, Evil, Punishment, Old Age, Self, The World, The Buddha, Happiness, Pleasure, Anger, Impurity, The Just, The Way, The Downward Course, Thirst, The Mendicant, and The Brahmana. It is a valuable text for those who are interested in learning Pali. The edition of The Minor Anthologies of the Pali Canon, published by the Pali Text Society in 1996, includes the original Pali text as well as Rhys Davids’ translation. Mrs Rhys Davids refers to her translation as being “on a new method” and declares that “I am mainly concerned with the historical importance of reconstructing original Buddhism – that is, Sakya, or the gospel of Shakyamuni – as a mission with a New Word to the Many, to the Man, and not to the monk as such, and the Dhammapada, for the most part, is a work of lay values.” Here Rhys Davids has already broken the ground by reorienting the Buddhist mission to the householder and not the monkish obsession that characterizes religious Buddhism today, which I have also demonstrated in my talks by referring to the persistent references, otherwise inexplicable, that pervade the Pali Canon of married householders, often with wives and children, achieving arhantship in a relatively short time, without the necessity of formal ordination, as well as favourable references by the Buddha to marriage and love and his open tolerance of women. The title of the Dhammapada, which Rhys Davids simply translates as “Verses on Dhamma,” might also be more poetically translated as “Footprints of Righteousness,” suggestive also of Laozi’s Tao Te Ching. Mrs Rhys Davids’ central thesis concerning the Dhammapada is that “in most cases some portions of the book may take us back to the days of the first men of Sakya, or nearly so, while the rest is a collection of accretions, with evidence of much gloss and much editing, of a later date and dates.” She says, “in this main concern my object was primarily to point out, as far as might be, where this monastical editing was betrayed.” Note her use of the term Sakya, properly the name of the ancient Vedic clan (1500–500 BCE) to which the Buddha belonged, which she uses as a synonym for the original teachings of the Buddha himself. In other talks, I have alluded to how the Buddha appeared initially as a reformer who sought to restore to a Brahman caste, corrupted by power and privilege, an original understanding of the spiritual quest that had been lost and replaced by empty rules, rituals, and beliefs. The Buddha compares his philosophy, which arose out of Upanishadic and ‘samanic’ understandings, to an overgrown path leading through a dense forest to a forgotten city. However, after the Buddha’s death this essentially positive philosophy, which Rhys Davids denominated by Sakya, was overcome by a monastic institution that became increasingly oppositional, leading to the recasting of the Buddha’s essentially positive spiritual philosophy in negative terms. The original doctrine of Becoming, i.e., the “becoming” of the True Self through life, i.e., action (karma) and harmlessness or ethical conduct, rather than ritual, became transmogrified into the becoming of matter, the doctrine of anicca or Impermanence, which was to be rejected through the practice of asceticism (which the Buddha originally rejected) and selflessness (anatta). After shifting the emphasis of the spiritual path from Being to Becoming, the early monastics shifted it back to Being again. One can see this, as I have discussed in previous talks, in the First Buddhist Council, when the camp of Mahakassapa, the elder foremost in ascetic practices, prevailed against the camp of Ananda, the personal attendant of the Buddha, and was declared to be the leader of the sangha, contrary to the Buddha’s will that the sangha should have no leader other than the dharma. Under Mahakassapa, the sangha enforced all of the rules of the Vinaya, against the Buddha’s will that the minor and lesser rules should be abolished, and put the Vinaya in the first place vis-a-vis the suttas. He also rebuked Ananda for “persuading” the Buddha to allow the ordination of women. A rule for the nuns was then put in place that essentially subordinated the nuns to the monks, and ultimately led to the disappearance of the bhikkunisangha in most Buddhist countries – a situation that persists to this day and continues to be controversial, especially in Thailand. With respect to “becoming,” Mrs Rhys Davids is of course alluding to bhava, the tenth nidana in the chain of conditioned arising (paticcasamuppada), which connects attachment (a.k.a. craving) and birth, in relation to bhavana. In the former sense, bhava is often also translated as “feeling, emotion, mood, devotional state of mind,” referring to the continuity of life and death, including transmigration. In the latter sense, bhava may also refer to the ecstasy, self-surrender, and channeling of emotional energies of bhakti, often translated in Buddhist texts, as Mrs Rhys Davids points out, by the bloodless term, “meditation.” Mrs Rhys Davids rejects the latter translation as a vapid obfuscation of the central significance of the original term, preferring terms such as “developing, cultivating, growth,” etc. Interestingly, she relates it to tillage, which was of course the original design of the Buddhist robe! It refers to access to jhana, achievement in iddhi, radiating amity (metta), and “making the Way to become.” For Mrs Rhys Davids, the latter is the original sense of the word, whereas the paticcasamuppada itself is another monkish confabulation. Religious Buddhists may be surprised to learn that Mrs Rhys Davids also rejects the doctrine of anatta, no-self, as a late monastic recasting of the original dharma, but I have alluded in previous talks to the fact that the Buddha refers to the Self throughout the Pali Canon as often as he rejects it, a fact that in conjunction with common sense and the Buddha’s repeated reference to “deathlessness” led me to affirm the doctrine of the ‘mind stream’ (samtana). Mrs Rhys Davids clearly states that in the Dhammapada there is a higher and a lower self, the latter corresponding more or less to the ego, the former to the kinetic or dynamic selfhood that is referenced by the term ‘mind stream.’ I am constantly amused in gatherings of Western Buddhist converts, all excitedly vying to convince each other that they do not exist! What is really being rejected here is the Atman, the classical Indian notion of a static self, the size of the thumb, lodged in the heart, which is “plucked out” by Yama, the Lord of Death, as in the story of Savitri and Satyavan, in favour of a conscious continuum or process – a ‘becoming,’ as Mrs Rhys Davids says. The asceticism, world-weariness, selflessness, and preoccupation with the world as “disease” (dukkha), with which Buddhism is broadly associated today, is, according to Mrs Rhys Davids, a later monastic aberration that came to overshadow the original teachings of the Buddha. “This great change in values will have come about gradually,” she states, “but it is a change we should look out for in every Pitaka document, betrayed more or less as going on, or as having gone on.” Mrs Rhys Davids’ hypothesis is a scientifically verifiable thesis that can be proved or disproved by a critical evaluation of the texts themselves. This was the purpose of her translation of the Dhammapada, published at the end of her life, perhaps as a kind of final testament, as it were, to do. Inspired by Richard Garbe’s translation of the Bhagavadgita, in which he prints in smaller type those verses that are judged to have been compiled under later influences, Mrs Rhys Davids does the same for her translation of the Dhammapada, as evidence of her thesis. In the context of the Dhammapada, this devolves into two vogues: the vogue of the professional monastic and the vogue of the psychological trend of thought referred to as Samkhya, which together Mrs Rhys Davids sees as “more potent and sinister even than the Brahman.” I have mentioned Samkhya in another talk as the teaching of Kapila, the founder of Kapilavastu, the capital city of the Shakyans, where Gotama was raised. In other words, the process of devolution to which Mrs Rhys Davids alludes constitutes a re-Brahmanization of the dharma that began almost immediately after the Buddha’s death. Similarly, in his Ph.D. thesis, published as Divine Revelation in the Pali Canon (1986), Dr. Peter Masefield declares that the Buddhadharma persisted for barely a hundred years before the lineage was lost, although for different reasons. Mrs Rhys Davids states that “there are unemphasized terms, phrases, sentences, surviving in [the Pitakas], left in as it were, which are on a different ‘plane,’ a plane which is in line with the immanent theism or Atmanism of Brahman teaching.” These passages have also been noticed by B.M. Barua and S. Mitra and compared with the Chandogya Upanishad, one of the oldest Upanishads, dating to before the 8th century BCE. Theravadins and Tibetan Buddhists alike will note with interest that Mrs Rhys Davids finds the Tibetan Dhammapada to adhere to an older tradition than the Pali version, based on the primacy that it gives to the chapter on The Way. Mrs Rhys David’s Pali training in no way prejudices her against the Mahayana, and in some ways accords with it, paradoxically, given her “return to origins” orientation. Mrs Rhys Davids finds the original teachings of the Buddha in the very passages which a neo-Theravadin Sri Lankan pedant such as Suwanda H.J. Sugunasiri rejects as “Hinduization,” based on a theory of Buddhism that is frankly racist. Mrs Rhys Davids has identified sixteen characteristics according to which she has identified 123 poems, in whole or in part, out of 423 – about 29% of the whole, as being late additions to the original teachings. These criteria constitute a summary of the monastic pseudo-dharma, if I may use that term, according to Mrs Rhys Davids, which I propose to quote in full. It is not that they are actually false – an important point to note – but rather negative attestations to a truth that was originally expressed in more dynamic, positive terms – which Mrs Rhys Davids refers to as “the loyal echoes of a greater day.” It is, therefore, less a matter of substance than of tone. Deal disparagingly with the body, with the mind, with beauty; direct attention to the ugly; look on the mind (manas) as the ‘man,’ in the later Abhidhamma way. Are warnings against any love-relations (save that of friend). Speak disparagingly of the ‘masses,’ the many-folk. Hold up ‘the world’ and life in it as ‘ill,’ as, without exception, to be feared. Praise solitude as having value in itself. Abuse the concept of ‘becoming’ (bhava, as being merely material renewed with following decay). Show preoccupation with monkish interests, both in the cloister and in relation with the laity (gifts, merit, etc.). Hold up shrunken sceptical notions about the nature of the man. Conceive the Final Attainment as a waning and a passing out. See salvation in negative ideas, such as release, the void, ending, etc. Conceive evil influences as a person (Mara). See a high worth in Buddhas and arahans as static, finished. Use (and frequently) a term of thought concentrated on evil: asava. Interestingly, many of these are characteristics that the majority progenitors of the Mahayana, the-called Mahasamghikas, rejected in the minority Sthaviras, who became the progenitors of the Vibhajyavada sect, from which the original Theravadins split off in the first century BCE, especially the preoccupation with asceticism and suffering; monastic anti-worldliness and exclusive sense of superiority; misogyny; lack of compassion and interest in human affairs; submissiveness; fear of change, innovation, and creativity; negativity; pessimism; evil-mindedness; etc. – in short, all of the stereotypes commonly associated with “Buddhism” today. It is striking that we find the alternative, positive, life-engaging dharma pre-eminently in one person since the Buddha, and that is Padmasambhava, the Tantric adept who is credited with the Buddhist conversion of Tibet, whose books were so controversial that they were sealed by the Tibetan government, and are so still. Richard Gombrich has suggested that the search for the historical Buddha through the application of Pali linguistics has “shot its bolt.” Instead, Gombrich’s approach is to study the Pali Canon in its entirety on rational principles, and to work out any issues that arise on first principles, including but not limited to Pali linguistics. I applied this methodology, for example, in my talk on “The Status of Women in Ancient India and the Pali Tradition,” in which I documented two entirely contradictory sets of statements concerning women. However, there is an even more significant theological issue relating to the historicist approach to dharma. First, the primary meaning of dharma – and this is also clear in the Pali Canon – is the truth or nature of reality itself, natural law, comparable to the old Vedic notion of ‘rta’ or cosmic order. The latter concept came to be replaced by the twin concepts of dharma and karma. Only because dharma has this absolute character does it become the arbiter of human conduct, the “ought to be” in Mrs Rhys Davids terminology. Therefore, dharma in itself is a-historical. The Pali Canon also implies this in its account of the lineage of Buddhas that preceded Gotama the Buddha. All discovered essentially the same set of truths, the abandoned city in the forest referred to earlier, but the refrain of the Chronicle of Buddhas, the Buddhavamsa, that “all constructions are void,” reminds us that all expositions of dharma are themselves relative and contingent, mere skilful means (upaya), the utility of which depend on the environment. This is as true of the teachings of Gotama the Buddha as anything else. The search for the teachings of the historical Buddha both does and does not have utility. The dharma is also continuously shaping itself to the contingencies of the time. The great task is not to “confuse the planes,” not to confuse the essential and the accidental. Ultimately, the dharma is cosmic. It is not limited to any particular time or place. There are infinite numbers and kinds of Buddhas, all different, all the same, on this plane and others, and on this planet and others. This is fundamental. The search for the historical Buddha is only a means to an end. It is not the end itself. This is why academic historicism, while a worthy and reputable exercise, is not in itself dharma, and why the Theravadin rejection of the Mahayana sutras, because they are a-historical, is not a dharmically valid argument. To put it another way, as I have in previous talks, non-historical and even mythological documents may also contain true and valid doctrines and insights. Another reason why historicism must be rejected ultimately is the failure to recognize the relationship between axioms and implications, which relates to my statement about the dharma adapting itself to the time and place in which it manifests. Historicism and sectarianism both imply that the dharma is set in stone for all time, but a finite set of principles cannot possibly encompass all of the implications that can be developed out of them, any more than the seed contains the tree or the fruit that it becomes, except in potential. Axioms are, by definition, a subset of implications, the latter representing a potentially incalculable “set” of possibilities. Only the latter corresponds to dharma in its essence, and it transcends rational analysis and articulation precisely because it is infinite. Therefore, true dharma cannot be reduced to an historical phenomenon, and to attempt to do so is itself a-dharmic and erroneous and therefore futile. This is the essential error of every religious, sectarian, nationalist, and rationalist system. Reality itself is not a system. Only dharma is coterminous with reality itself. Therefore, dharma can only ever be approximated. It can never be exhausted. It can never be “pinned down.” Just as a butterfly, chloroformed, killed, and pinned to a board on a wall by a collector, is no longer a living organism, so no exposition of principles is ever-living dharma. And yet the paradox is that without the exposition, there is no living dharma either, but only a chaotic cloud of confusion. Havens, Teresina Rowell (1964). “Mrs. Rhys Davids Dialogue with Psychology (1893-1924).” Philosophy East and West. V.14, 51-58. http://buddhism.lib.ntu.edu.tw/FULLTEXT/JR-PHIL/ew27114.htm. James, Jeanette (accessed 2014, Dec. 2). Papers of Caroline Rhys-Davids. MS 1082. http://www.ulrls.lon.ac.uk/resources/ms1082.pdf. Neal, Dawn (2014). “The Life and Contributions of CAF Rhys Davids.” The SATI Journal: The Journal of the Sati Center for Buddhist Studies. 2, 15-31. http://www.sati.org/wp-content/uploads/2013/05/Sati-Journal-Volume-2.pdf. Peiris, William (1973). “Britain.” The Western Contribution to Buddhism, Chap. 2. Delhi: Motilal Banarsidass. http://obo.genaud.net/backmatter/gallery/caf_rd.htm. Snodgrass, Judith (2007). “Defining Modern Buddhism: Mr. and Mrs. Rhys Davids and the Pali Text Society.” Comparative Studies of South Asia, Africa and the Middle East. 27:1, 186-202. http://muse.jhu.edu/journals/cst/summary/v027/27.1snodgrass.html.